Rational expressions contain fractions with polynomials in both the numerator and the denominator. Solving rational expression equations requires more work than solving standard polynomial equations because you have to find the common denominator of the rational terms, then simplify the resulting expressions. Cross-multiplication transforms these equations into regular polynomial equations. 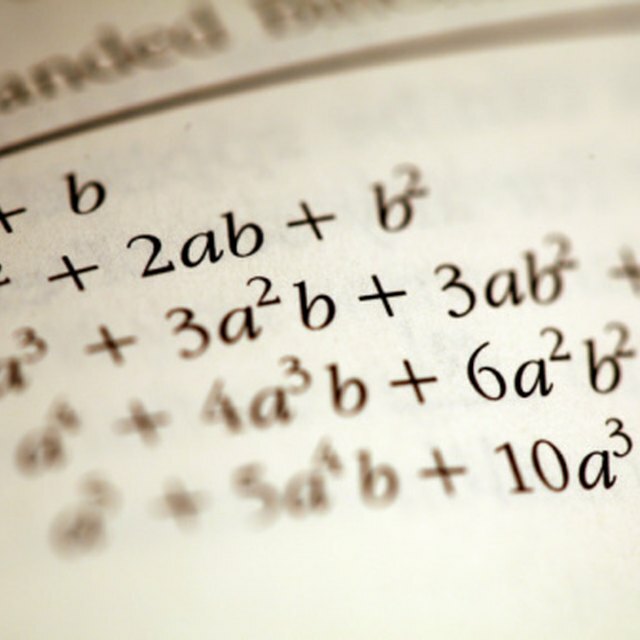 Apply techniques such as factoring the the quadratic formula to solve the resulting polynomial equation. Rewrite the first rational term on the left side of the equation so that they have a common denominator by multiplying both the numerator and the denominator by the product of the denominators of the other terms on the left side of the equation. For example, rewrite the term 3 / x in the equation 3 / x + 2 / (x - 4) = 6 / (x - 1) as 3(x - 4) / x(x - 4). Rewrite the remaining terms on the left side of the equation so that they have the same denominator as the new first term. In the example, rewrite the rational term 2 / (x - 4) so that it has the same denominator as the first term by multiplying the numerator and denominator by x so that it becomes 2x / (x - 4). Combine the terms on the left side of the equation to make one fraction with the common denominator on the bottom and the sum or difference of the numerators on top. The fractions 3(x - 4) / x(x - 4) + 2x / x(x - 4) combine to make (3(x - 4) + 2x) / x(x - 4). Simplify the numerator and denominator of the fraction by distributing factors and combining like terms. The above fraction simplifies to (3x - 12 + 2x) / (x^2 - 4x), or (5x - 12) / (x^2 - 4x). Repeat Steps 1 through 4 on the right side of the equation if there are multiple terms so that they have a common denominator as well. 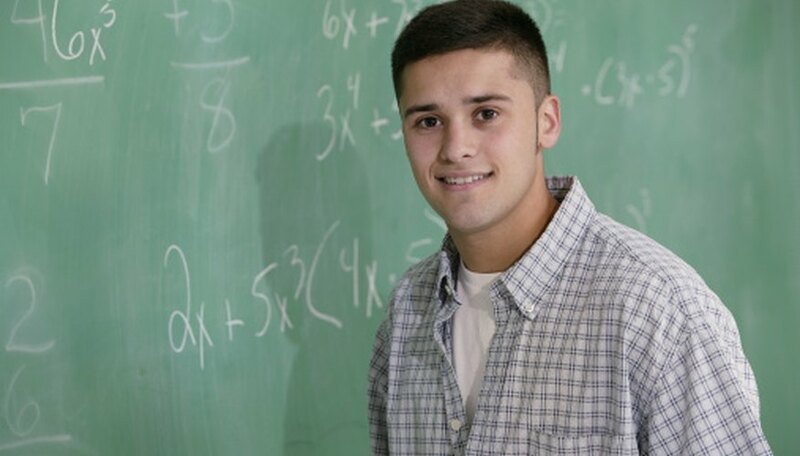 Cross-multiply the fractions on either side of the equation by writing a new equation with the product of the numerator of the left fraction and the denominator of the right fraction on one side and the product of the denominator of the left fraction and the numerator of the right fraction on the other side. In the above example write the equation (5x - 12)(x - 1) = 6(x^2 - 4x). Solve the new equation by distributing factors, combining like terms and solving for the variable. Distributing factors in the above equation yields the equation 5x^2 - 17x + 12 = 6x^2 - 24x. Combining like terms yields the equation x^2 - 7x - 12 = 0. Plugging the values into the quadratic formula yields the solutions x = 8.424 and x = -1.424. Karl Wallulis has been writing since 2010. He has written for the Guide to Online Schools website, covering academic and professional topics for young adults looking at higher-education opportunities. Wallulis holds a Bachelor of Arts in psychology from Whitman College. Wallulis, Karl. "How to Solve Rational Expression Equations." Sciencing, https://sciencing.com/solve-rational-expression-equations-8469140.html. 24 April 2017.